Following on from my last post, The Camping Trip, here’s how Mr LMR and I got on glamping for two nights with the monkeys. During our trip away I was also imposing a 48 hour digital detox on myself, because I had too much blog and social media cluttering my brain. The detox was further extended to the big boy monkeys, as screen time had been creeping up during the holidays. We were going back to basics and reconnecting with nature. In other words the monkeys were going wild. I went offline on the journey down, switching off my mobile data on my phone. After refreshing my stats and social media at least 50 times. Like an addict binging just before a cold turkey detox. I felt a little bit anxious about switching off, but once done the sky didn’t fall in. Besides, the signal was fading the closer we got to our destination. Our address for our two night stay. Pod 4, Woodhouse Farm, Ripon. A wooden pod in a small woodland clearing on the edge of Woodhouse Farm and campsite. There are 8 pods in total. Each has lighting, a small heater and a two plug electrical socket. 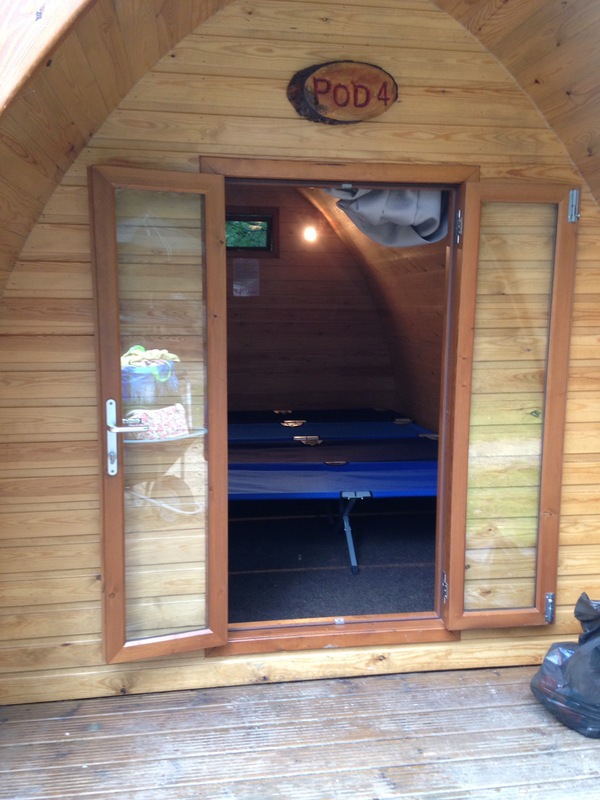 Ours was a family pod and it snugly accommodated four small bunks and a travel cot. We arrived late afternoon and the sun was shining. The pod as a result had the temperature of a woodland sauna and the clearing was a short walk from the designated car park. Therefore transporting your belongings involved three trips with a wheel barrow provided by the campsite. The monkeys found this hilarious and took turns riding the empty wheelbarrow back to the car to refill. An already overheated Mr LMR was thrilled. As we are woefully amateur campers, we had packed food that did not require cooking. So on our first night we headed out to the next village for some posh and expensive fish and chips. They were cooked in the gourmet kitchen at the Grantly pub, Grantly. We ate them in the nearby play park, whilst taking in the fabulous view. I’ll be honest, by this time, despite a couple of monkey fallouts, we weren’t missing technology. The monkeys had immediately reverted to a feral attitude to their surroundings. Our pod was surrounded by trees to climb and mud to squelch about in. Three separate play areas on site also offered sufficient entertainment. In addition, Little Miss had plenty of hazards to be drawn to, like eating gravel, which kept me distracted from the detox. Day 2, after a crazy night curtesy of Little Miss who woke up at 2.15am and refused to go back to sleep until 5.00am, we returned to the pub for a slap up breakfast. Sun shining, we partook alfresco. Full tummies ready for a day of adventure at The Forbidden Corner. We had never been, but had heard so much about it. It most definitely did not disappoint. The Forbidden Corner is a fantastical maze of weird and wonderful sculptures. Hidden castles, magic monuments and spooky tunnels. You could spend hours there getting lost and never see it all. It is like Alice in Wonderland, Labyrinth and Dungeons and Dragons all wrapped up in one spectacular day out. Pure fantasy. There was also no service, so any digital contact would have been lost anyway. For approximately four hours we immersed ourselves in the fantasy. 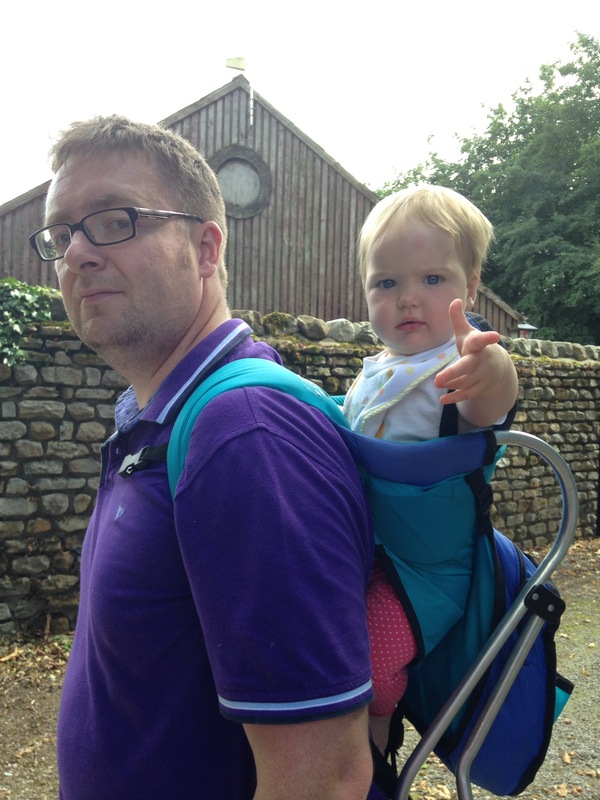 Luckily we had packed the back carrier for Little Miss as the push chair would have been a real hindrance. We ate on the campsite after the trip out to The Forbidden Corner. A lovely pub tea. 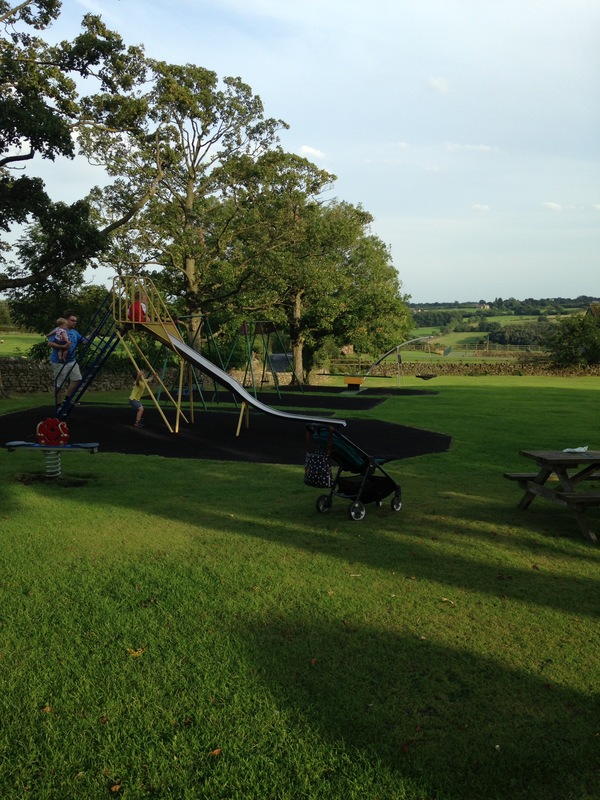 Then off to run around two more onsite play areas as the monkeys had fallen asleep on the way home. Back to the pod at a time way past their usual bedtime. Off for a pre bed shower to wash off the days dirt. A guaranteed extra whilst camping. Together with leaving the shower block still wet as it is impossible to get dry in communal showers. Other camping guarantees are that your children will find entertainment in everything. Sticks become swords, trees become fortresses and mud becomes quick sand. They will also not go to sleep until gone 11pm. No matter how many torches you have, it will be too dark to read, and you will not get much time to relax anyway because they will want to go to the toilet every 15 minutes for two hours. This is great as you have to walk to and from with them every time. 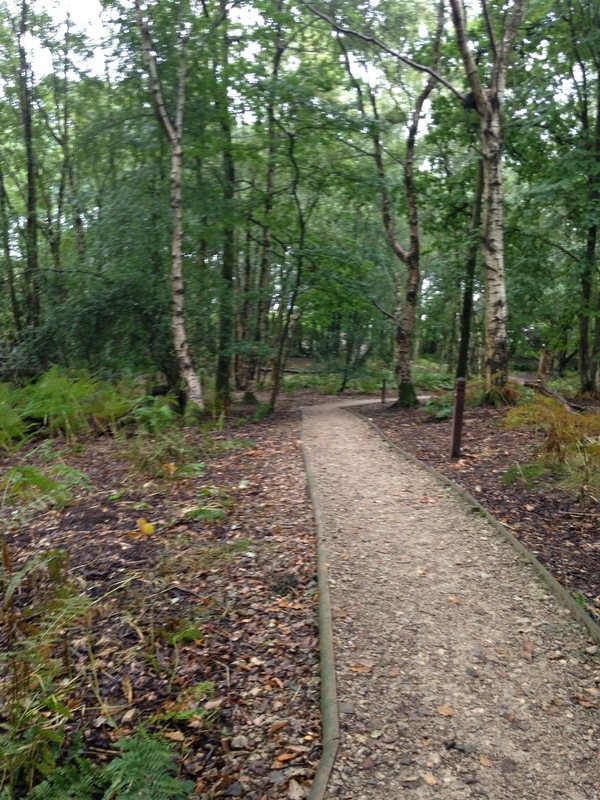 The walk to the toilet block was through a slightly creepy and luckily well lit woodland path. MM loved it as every little light along the way made a huge shadow monster. We created seven monsters on the way there and the way back. It would have been annoying but it was hilarious. The walk wasn’t as hilarious when I took it alone at 3am after Little Miss had woken up. Shrieking owls made the trip an epic for the faint hearted amongst us. By day 3, which was a lot wetter, I felt the detox had gone well. I hadn’t had much chance to miss my little virtual world and was surprisingly less stressed. Often I get annoyed with the monkeys, because I am trying to do something digital quickly, and they interrupt when it isn’t working. Being surrounded by woodland with a crawling baby is guaranteed to keep you focused. I didn’t really miss my virtual world either. To be fair my brain keeps writing material without the means to record it anyway. Annoyingly I managed to miss my sister getting engaged but only because I had no phone service either. By the time we spoke, it was late and I had to send a quiet cheer down the phone, as the surrounding pods had sleeping children in them. Other than this, I did ok. We had a picnic breakfast on our last morning and Mr LMR cranked up our camping stove for a lovely life giving plastic cup of coffee. He took the monkeys out to play whilst I packed up (much faster) and fought off the swarm of wasps that had been attracted to the monkey debris of jam sandwiches. Our only cross with nature on this camping trip, unlike the first. Since getting home and reflecting on my 48 hours away, I can fully recommend a digital detox to anyone. Due to the camping fatigue, I didn’t feel anymore refreshed. You don’t realise how noisy your children are when they are asleep until you are in a confined space with them. However, I thoroughly enjoyed my uninterrupted time with my monkeys. Despite their feral ways and all the mud. It left me less stressed for the full 48 hours. Therefore, I recommend that any detox is undertaken with distraction. It doesn’t have to be a camping trip, it could just be at busy times during the day. I intend to switch off my data at times when I should be engaged in the now. Meal times, school runs and bedtimes, amongst others. They’re a good bunch my crazy little monkeys they deserve my undivided attention sometimes. Not all of the time, however, like now, blogging for you. I think it is good to sometimes have a break from social media. It can take over our lives. A digital detox does us all good at times. It’s easy to get caught up in what’s going on ‘out there’ and not paying attention to what’s ‘right here’ so I often build quiet moments into my week. Congratulations to your sister on her news! I had an enforced detox on holiday and it was so refreshing. Looks like you had a brilliant break! Perhaps we should start a digital detox day (is there one already). Glad you had fun. I’m all for a digital detox, especially on a camping trip. I haven’t been camping for many years though, although I would like a try at glamping. 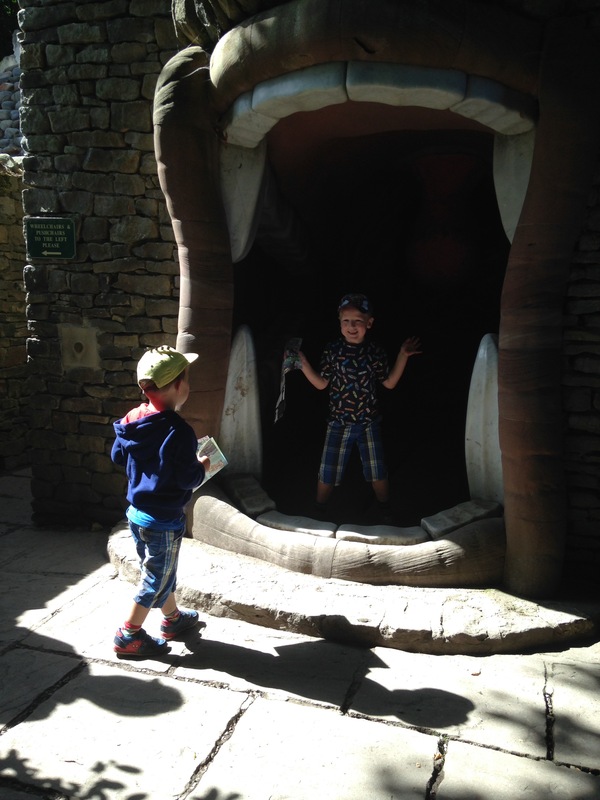 Anne recently posted…Accessible Days Out. We went camping for a couple of nights recently and enjoyed not being connected to the WiFi. I didn’t like the amount of emails and notifications I did have when I did log on! Cass Bailey recently posted…Marvellous Meatball Marinara….